The Hindi film industry is currently going through a phase of rehashing, remaking and remixing of movies and songs. Sonakshi Sinha is known for her special numbers in films like ‘All Is Well’, ‘OMG- Oh My God!’, ‘Yamla Pagla Deewana Phir Se’ and others. 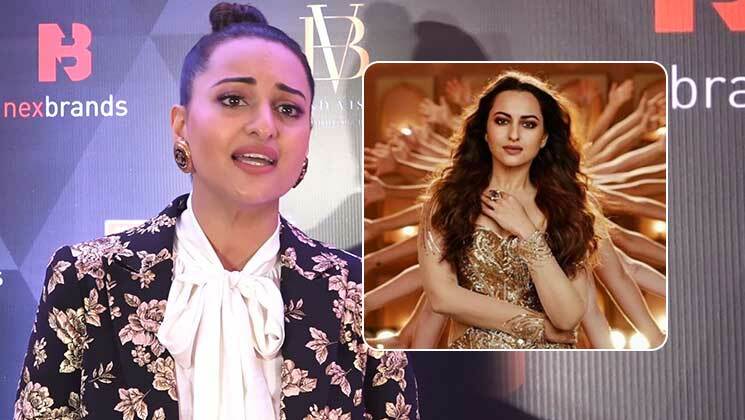 The actress recently added another feather to her list of songs as she was seen shaking a leg in Indra Kumar’s ‘Total Dhamaal’. Sonakshi was seen swinging her hips to the yesteryear classic ‘Mungda’, along with Ajay Devgn. Unfortunately, the remix of ‘Mungda’ has irked many Bollywood bigwigs including veteran writer and lyricist Javed Akhtar. While responding to a Twitter user, Javed Saab termed the song as disgusting. On the other hand, music director Rajesh Roshan is also not feeling that enthused as well. Rajesh Roshan was the composer of the original version of ‘Mungda’. It was shot for the film ‘Inkaar’, which was released in 1978. Also, the remake version has faced severe backlash and massive criticism from people on social media as well. ‘Total Dhamaal’ is the third instalment of the ‘Dhamaal’ series. Ajay Devgn, Anil Kapoor, Madhuri Dixit and Boman Irani are the latest additions to the film’s cast, while Riteish Deshmukh, Arshad Warsi and Javed Jaffrey have reprised their roles. It will hit the screens on February 22. The film was initially scheduled to release in December but had to be postponed because of post-editing delays.